What do you believe was the happiest year in the life of Elvis Presley? And what are your reasons for choosing that year? Now I will go “on the record” and say 1968 because he was in love, healthy, enjoying his family and daughter and his career was on an upswing (i.e. 68 Singer Special entitled “ELVIS”). I can’t wait to hear your choices and why. I recently watched a “re-run” on VH1 about the “100 Greatest Artists of all time”. Having never heard of this program before, but knowing the history of VH1 and MTV and others in the “mindless minion media”, I watched it hoping that it would be based upon facts. When I saw that they had Elvis Presley ranked as “eighth” I reminded myself about the inherit bias against Elvis that (sadly) remains. However, the same media who try to “re-write” history about Elvis and/or try to minimize his influence and thus his success always find a way to make money off of his name. Such is the case with VH1. Many of the singers, and bands, that were in the top 20 deserved to be there. However, for every “reason” given for artists/bands to be in the top 100 or top 10 or even number 1 Elvis met/exceeded these artist/bands in the same category (i.e. influence, record sales, number of hits, etc.). Any rational person, using the FACTS versus the hype and/or political correctness, would have to agree that Elvis Presley is/was/forever will be the greatest entertainer/artist who ever lived…period. To add “salt to the wound” when the Beatles were awarded “number 1” they allowed a comment, while attempting to justify the Beatles being number 1, of: “Everyone before and after the Beatles were influenced by the Beatles”. I am sure that (sadly) far too many VH1 viewers would just nod their heads and believe that what was said was true and yet nothing could be further from the truth. Everyone of the Beatles, from the time they first played to long after they broke up, credited Elvis Presley with being the greatest influence to them. In fact, John Lennon said it perfectly when he said “before Elvis there was nothing”. Elvis sold more records, had more number 1 hits, had more top ten hits, and had a much longer career than the Beatles. Even after Elvis’ passing, sadly on August 16 1977, Elvis has “outsold” the Beatles every year since his passing (in record sales) except one year when the Beatles “re-released” their catalog. These facts (apparently) mean nothing to VH1 and it seemed like VH1 structured their “poll”, and the episode(s) that aired on VH1, to not only minimize Elvis’ accomplishments but also wanted to gloss over Elvis’ influence. Inasmuch as Elvis Presley Fans Worldwide continue to support the life, and legacy, of Elvis Presley when it comes to ‘standing up” for Elvis publicly and demanding that the facts about Elvis be told Elvis Presley Fans have “fallen short” in this aspect. It is long past time when Elvis Presley Fans Worldwide started to DEMAND that the facts about Elvis, and thus the proper respect/appreciation/accolades/etc., be presented….accurately…every time. Watching this VH1 charade reminded me that during Elvis’ lifetime he was never given the amount of respect, by the press and by his own peers, for his talents. In fact Elvis’ only Grammy Awards were for his Gospel Album/performances. This was not an “oversight” by the Grammys, or every other member of the press/award shows, never to give Elvis the awards that he earned and that he deserved. 99.9% of the “artists” (note: I want to exclude Country Music and Gospel Music from this statement) today use digital enhancements because they can’t sing or they can’t sing well. If they were required to sing LIVE, as Elvis Presley did from 1969 until 1977 and every concert venue was SOLD OUT, and move around (and Elvis moved like no one before or after) they would sound like…sub par amateurs. These “artists” rely on tricks to entertain their audience. From having background dancers, to light shows, to special effects, etc. they do everything but sing and they do this because they CAN’T sing and if the audience heard them really sing it would be a debacle. Elvis Presley sounded EXCELLENT in Concert with no enhancements. Elvis kept his lights, manned by his long time friend Lamar Fike who (sadly) recently passed away, to a handful of colors. Elvis had a great band, great backup singers, and a great orchestra and each of these TRUE artists have said that “Elvis’ musical/vocal abilities were the best they ever heard”. They also make note of Elvis concert appearances as being “out of this World”. I happen to agree with them not because I am an Elvis Presley Fan, and I am, but because it is a FACT and facts do matter regardless of if it is a conversation “one on one” or a written blog or even if it is on TV and that includes VH1. I guess that asking VH1, and much of the media/press/music business, to state the facts is asking too much. I realize that VH1 doesn’t care about the facts, and they are entitled to their opinion, but to be a “music channel” and to dismiss/minimize the talents and accomplishments of the greatest musician/singer/artist/performer ever (whether it is in this “poll” or 24/7) in the case of Elvis Presley? VH1, the Grammys, and many other members of the press and the music “industry” facts are not important. Perhaps when they are held accountable, by Elvis Presley Fans or just individuals who want the truth, then they will put as much emphasis into the truth as they do into hyping other “artists” who are (wholly) inferior to the many talents of Elvis Presley. This isn’t to disrespect other “artists” but simply to state the facts and facts should matter even when it comes to VH1. To add “salt to the wound” when the Beatles were awarded “number 1” they allowed a comment, while attempting to justify the Beatles being number 1, of: “Everyone before and after the Beatles were influenced by the Beatles”. I am sure that (sadly) far too many VH1 viewers would just nod their heads and believe that what was said was true and yet nothing could be further from the truth. Every one of the members of the Beatles, from the time they first played to long after they broke up, credited Elvis Presley with being the greatest influence to them. In fact, John Lennon said it perfectly when he said “before Elvis there was nothing”. Many people believe that Elvis Presley’s’ full name is “Elvis Aaron Presley” and they would be correct. Other people believe that Elvis Presley’s full name given to him at birth was “Elvis Aron Presley” and they would be correct. When looking at all of the paperwork for Elvis’ birth, and comparing it to the (sadly) paperwork surrounding Elvis’ death including Elvis’ headstone at Graceland, it is clear that at some point Elvis’ middle name changed from “Aron” to “Aaron”. How and why this occurred is summarized herein. Perhaps the confusion exists because on the day of Elvis’ birth, January 8, 1935, Gladys and Vernon (Elvis’ parents) had only been expecting one child and the named they picked out, if it was a boy, was NOT Elvis Aaron Presley or Elvis Aron Presley but…Jesse Garon Presley (note: as was common in the South they chose the name “Jesse” out of respect to Vernon’s’ Father who was named Jesse). The reason being is that Gladys was not aware that she was having twins although having twins does run in their bloodline/family. On January 8, 1935 Gladys gave birth to a son, Jesse Garon Presley, who (sadly) was born “stillborn” meaning that he had died. During the emotional torment of just giving birth, and knowing that her child had died, Gladys (to summarize) called out to the attending Doctor that “I think there is another one”. The Doctor checked and yes there was another one – a son – and now Vernon and Gladys had to come up with a name and they choose “Elvis” as that was Vernon’s’ middle name (i.e. Vernon Elvis Presley) and “Aron”. The official paperwork for Elvis birth/delivery confirms the name “Elvis Aron Presley”. Whether this was the Doctors typographical error, to spell it Aron, or not remains a mystery to this day but it is safe to say that January 8, 1935 was not a day for Gladys or Vernon to be “spell checking” but to celebrate the birth of their son – be thankful that Gladys was doing all right – and to mourn the loss of their first child…Jesse Garon Presley as well as to make burial arrangements. One fact that has escaped the majority of Elvis Presley Fans, and the applicable “Press”, is that Gladys was pregnant during the years 1942 and 1943 but (sadly) miscarried and this was her final pregnancy. Needless to say, it was heartbreaking for Gladys and Vernon to (again) suffer the loss of a child. Fate, and God, had determined that Elvis would be “an only child”. Worth noting is that on the Marriage Certificate, of Elvis and Priscilla, dated May 1, 1967 Elvis name continued to be spelled as “Elvis Aron Presley”. During the 1970’s Elvis assigned Vernon the task of checking with the State of Tennessee, and the Federal Government, about changing the legal spelling of “Aron” to “Aaron” which is the biblical spelling. Vernon made the calls and to his surprise was told that “somehow it was in the records as already being Aaron”. Vernon shared this with Elvis who was also surprised and used, more and more, the spelling of “Aaron” on documents/signature pages both legal and otherwise. The fact that Vernon personally confirmed that Elvis’ name was “legally” Elvis Aaron Presley came into consideration (sadly) when Elvis died on August 16, 1977 at the age of 42. Thus Vernon ordered the engraving, on Elvis’ tombstone/headstone, to reflect the full legal name of “Elvis Aaron Presley”. Many Elvis Presley Fans Worldwide have questioned if this was a “mistake” or some “sign” of Elvis not really being dead. Nothing more could be further from the truth as in spite of enduring spiritual/soulful/painful feelings of loss, of his beloved son Elvis that adversely affected Vernon every remaining day of his life, Vernon simply made sure the engraving appeared correctly. Interestingly, Elvis was not the first member of his family to change the spelling of his name but it was Vernon’s Father (i.e. Jesse). Jesse was not only Vernon’s Father but also the “ex-husband” of Elvis’ beloved GrandMother who he called “Dodger” (i.e. Minnie Mae Presley). Jesse, Elvis’ GrandFather, was legally named Jesse D.McDowell Pressley otherwise known as “JD”. During the mid 1800’s the family of “Pressley” first began to use the spelling of “Presley”. This was evident when Vernon was born as and once Elvis became famous Jesse opted to use the same spelling as “Presley”. Elvis Aron Presley, and Elvis Aaron Presley, were “one and the same” and was – is – and forever will be as unique a man/entertainer/son/grandson/friend/father/etc. regardless of how one spells his middle name. Throughout Elvis’ life, beginning with his severe asthma and his sleep apena/sleep walking, he feared that he would never outlive “momma”. When Gladys died (sadly) on August 14, 1958 Elvis believed that she was 42 years old but she was really 46. On at least ten documented occassions, from 1943 until 1977, Elvis openly wept recalling the knowledge that he would not live past the age of his “Stan-in” (i.e. his beloved Gladys). As August of 1977 approached Elvis had undergone great trials and tribultions. His (very real) medical conditions were worsening, and even his vacation in Hawaii had to be cut short due to an injury to his eye, and his mental/emotional well being was in a free fall. Part of this was due to the investigation into the purchase of a plane (yes it is/was a real threat and Elvis life and Vernons were threatened) and the book “Elvis What Happened”. Elvis was not feeling well, not eating well, and worried about his fans and his legacy. During the last week of his life he asked those closest to him “will my fans remember me when I am gone”? Elvis’ own handwriten notes, which I will be releasing jpegs of in the immediate future (watermarked of course) on www.ElvisCollector.info,, mirror his sadness and his struggles. Throughout it all he put his faith in God and asked for forgiveness and guidance. On August 16, 1977 Elvis (sadly) passed away and the media catfish (warranted nickname) began their horrendous stories about Elvis all the while making fun of his weight and his accomplishments. It was as if all of those who ranted about Elvis in the 1950’s now said “GOTCHA” and/or “he was too good to be true”. The negative press was unrelenting and some untrue stories remain to this day. Fortunately, through Priscillas’ efforts with Jack Soden EPE became viable and Elvis’ legacy secured. Elvis fans should never minimize what she accomplished and I could write a 100 page article detailing all they endured and accomplished. Most of all Lisa Marie Presley would be financially secure as was Elvis intentions when he, out of the blue, updated his will in August of 1977. Far too many times we nit-pick facts about Elvis and try to “one up” each other. I wanted to take this opportunity to say THANK YOU to Elvis Fans Worldwide – to the Memphis Mafia Members and their family – to EPE – to Priscilla – and to Lisa Marie. Here in 2011 Elvis’ legacy, good worths, and his honest efforts are being appreciated…more than ever. It would have been nice to be able to PROVE to Elvis, all the times he questioned his legacy and what the Fans would think after he died, that all of his worries were…for naught. Fortunately, I believe that Elvis is with Gladys, Vernon, Dodger, Jesse, and many others of faith and that he…”knows” now how much he meant to us both as numbered in the millions…and as individuals online. THANK YOU again and may God bless you all. 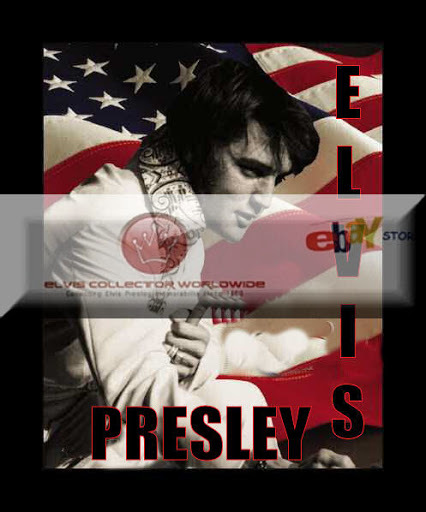 To Elvis Presley Fans Worldwide Bill Belew is known, and held in high esteem, as the “man who designed Elvis’ jumpsuits”. But, in fact Elvis’ infamous jumpsuits were the end result of the collaboration between Bill Belew and Gene Doucette that produced many of Elvis’ most popular stage outfits as well as Elvis’ personal wardrobe from 1968 until (sadly) Elvis’ death on August 16, 1977. While Bill Belew was a graduate of the Parsons School of Design, in New York, Gene Doucette was born in Brooklyn New York and was a “self taught” artist who recalled that he had been drawing since “the time I could hold a pencil”. Bill Belew had decided to go into the costume design profession after taking the advice of the legendary singer Josephine Baker. Bill Belew, over the course of his career, designed outfits for Josephine Baker and other celebrities (including but not limited to) such as; Brooke Shields, Joan Rivers, Gloria Estefan, The Carpenters, Ella Fitzgerald, Gladys Knight, Roberta Flack, Milton Berle, and Dionne Warwick. After the contact was reached, between Elvis (represented by Colonel Parker) and NBC, for the 1968 Singer Special entitled “Elvis” (aka: the Comeback Special, the ’68 Special, etc.) the producer and director Steve Binder contacted Bill Belew about designing some outfits for Elvis. Steve Binder knew Bill Belew as they had previously worked together on the “Petula Clark Special”, which Bill Belew had received great reviews/accolades for the outfits he produced, when Petula Clark first came to America. Steve Binder stressed that he wanted something “unique” and “not typical of what Hollywood was doing at the time”. Bill Belew decided to do some background research on Elvis, as well as speaking to Elvis about his fashion tastes and people he admired, and was pleasantly surprised to learn that Elvis had not worn many “leather products” except for a few motorcycle jackets he owned. During the late 1960s’ denim (i.e. blue jean) jackets, worn with matching denim pants, were widely accepted as “cool”. It was the idea of Bill Belew to combine the look of a blue jean jacket, with black leather, and create the iconic outfit that Elvis wore during the musical numbers (i.e. when Elvis was placed on a small stage surrounded by fans accompanied by Charlie Hodge, Scotty Moore, and DJ Fontana). Bill Belew shared his idea with Steve Binder who said he “loved the idea” and then asked Bill Belew for some “sketches”. Upon receipt of the sketches Steve Binder spoke with Elvis about the outfit and Elvis’ only concerns were that leather was hot and he did not want his movements impaired. Steve Binder, and Bill Belew, assured Elvis that the outfits would meet/exceed his criteria and the designs were approved. In later years Bill Belew stated that he had always been an admirer of the fashions worn by Napoleon including the high collars which Bill Belew believed would compliment Elvis’ face by “framing” his features. Bill Belew incorporated into his designs for Elvis many of Napoleons’ outfits (i.e. pointed sleeve cuffs, wide belts, capes, use of gems/rhinestone studs, elaborate embroidery, etc.) into Elvis’ personal wardrobe (i.e. probably the most famous example is the dark navy blue velveteen outfit Elvis wore, which was originally designed for Elvis’ Las Vegas appearance, when he met with President Nixon) and concert outfits. When the 1968 Singer Special entitled “Elvis” first aired on TV it not only “relaunched” Elvis’ singing/concert career but it also became the most watched TV show for all of 1968. The fans loved Elvis’ attire and nationwide critics, and those in the fashion industry, conveyed their respect/appreciation for the outfits designed and produced by Bill Belew. Bill Belew, through the unique designs and quality of his clothes, earned Elvis’ respect. After Elvis signed with the International Hotel, in 1969 to perform live in Concert in Las Vegas, Colonel Parker contacted Bill Belew and asked him if he would be interested in designing Elvis’ stage costumes and wardrobe. Bill’s response was an enthusiastic “yes”. This was the first time Bill would be designing for Las Vegas and he experimented with different fabrics and colors but ultimately decided that the best color for Elvis’ Las Vegas appearances was white (note: Elvis shared with Bill Belew that he had a preference for blue as it was one of Elvis’ favorite colors but the stage lighting, that Elvis used in Las Vegas and ultimately for all of his Concert appearances, was not favorable to any other color but white). Now that Bill had decided on the color his next step was to choose the right fabric. Bill contacted the Ice Capades and discussed with a friend of his the type of fabric that ice skaters (i.e. figure skaters) used known as “stretch gab or gabardine”. Since this fabric allowed for skaters to do turns, jumps, splits, etc. Bill believed that this would be perfect for Elvis’ concerts as Elvis moved so much onstage, and Bill wanted a fabric that would “breathe” since Elvis would perspire a lot due to his movements and the hot stage lights, plus Elvis incorporated some of his martial arts (i.e. Karate) moves into his musical numbers. Needless to say, Bill Belew’s creations were a bona fide hit and Elvis loved the designs. Due to the recognition of creating Elvis’ costumes and wardrobe the demand for Bill Belew increased and he entered into contracts to to TV shows, movies, and to design many entertainers costumers. It was during the year 1972 that Bill Belew turned to Gene Doucette, who had earned Bills respect and appreciation as they were working together at the company named Pzazz Design, and turned over the designing of Elvis’ costumers exclusively to Gene. Gene Doucette continued to design Elvis’ costumes, including his jumpsuits, from 1972 until (sadly) Elvis death on August 16, 1977 with an emphasis on elaborate embroidery. His designs include, but are not limited to, the following; the Aloha from Hawaii jumpsuit and cape, Sundial, Tiger, and two of Elvis personal favorites (other than the Aloha from Hawaii American Eagle suit and cape which Elvis had commented was his favorite) the Dragon suit and the Peacock suit. A fact not widely known is that Gene and Bill were working on, at the time of Elvis’ death, a special prototype jumpsuit they called the “laser suit”. In 1977 lasers were the stuff of “science fiction” but Bill had been in contact with an electrician who specialized in lasers and had conducted laser shows throughout the United States including at Stone Mountain Georgia (i.e. home of one of the largest ongoing laser shows in the World). This “laser suit” was actually a design that contained (literally) hundreds of jewels and rhinestones. Bill came to call this design the “diamond suit” as when the light hit the suit it appeared as though the suit was made of diamonds. Bill, Gene, and the electrician agreed that they should strategically place some very large stones throughout the suit where the laser would be activated by Elvis touching the large stones causing the laser to “zoom in and shoot” directly on the large stones thereby creating a display of lights never before seen onstage. On the day that Elvis died, August 16 1977, Bill Belew was on his way to the studio to place the “laser suit” on the display figure for its final testing. The plan was after the final testing, which in fact took place after Elvis’ death and it was successful, it would be presented to Elvis. Finally, the beauty of the designs of Bill Belew and Gene Doucette have garnered the respect, admiration, appreciation, and imagination of Elvis Presley Fans Worldwide and created a style that has been copied now for four decades. Bill Belew and Gene Doucette deserve all of the praise for contributing to the life, and legacy, of the greatest entertainer who ever lived…Elvis Aron Presley.